Xiaomi has opened its second Authorized Mi Store in Dubai today. 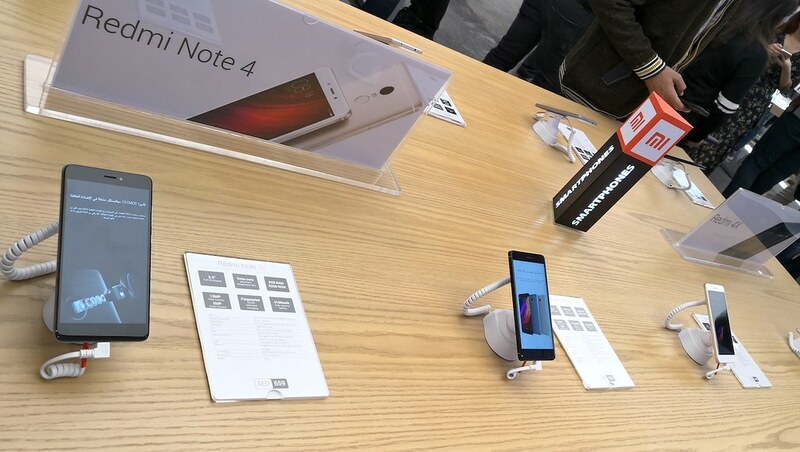 In partnership with its local distributor TASK FZCO, Xiaomi launched the second Authorized Mi store in the UAE, less than four months after the first store. This highlights Xiaomi’s unwavering efforts to bring more innovative products at accessible prices to Mi Fans in the Middle East and North Africa (MENA) region. Located at Deira City Centre in Dubai, the company’s second physical store is the largest of its kind in the region and features a wide range of Xiaomi products—providing customers in the UAE and other MENA nations with best-in-class experience of its top offerings, from Xiaomi’s smartphones such as the flagship Mi 6 to Mi Ecosystem products including Mi Air Purifier 2, Mi Band 2 and the 10000mAh Mi Power Bank, among others. Customers can also purchase the recently launched Mi A1 and Redmi Note 5A at the new store. At the opening ceremony today, it was announced that Xiaomi’s flagship smartphone Mi MIX 2 is available across the UAE. As a gorgeous evolution of Mi MIX, the revolutionary concept phone launched in the local market this February, Mi MIX 2 is 11.9% smaller, and has a 5.99-inch screen with a 18:9 full screen display, which delivers a stunning appearance with the screen almost entirely filling up the front surface. Jointly designed with world-renowned designer Philippe Starck, Mi MIX 2 represents Xiaomi’s efforts in pushing ahead with the use of ceramic. It has a beautiful ceramic back, which features a four-sided curved design that transitions smoothly into the aluminum frame. Mi MIX 2 will be available in the UAE for AED 1899 for the 6GB + 64GB version. “The UAE with its immense potential is a key market in our expansion strategy in the MENA territories thanks to its rising economy, growing middle class, surging consumer confidence in technology, and increasing domestic consumption. Xiaomi, which is at the forefront of cost-efficient technological innovations, will capitalize on these many local and regional growth opportunities as we aspire to be seen as a leading technology company in the regional,” Tian added. The new Authorized Mi store is located on the third floor between VOX cinemas and dine-in food court at Dubai Deira City Centre.